The Food and Beverage industry is increasingly adapting the Global Food Safety Initiative (GFSI) as its “stamp” of high quality and safety. 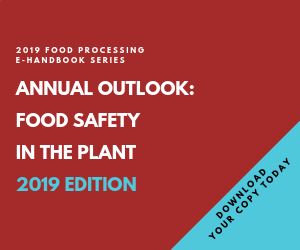 The GFSI-benchmarked food safety schemes coupled with regulatory oversight are driving organizations to seek methods of enhancing visibility into their quality and safety operations. An automated Food Safety Management System (FSMS) is one of these methods.